At Advanced Vision Care, we base our professional practice on a very demanding standard of excellence. Quite simply: We want every patient who visits us to receive the very best eye care-related diagnostic and treatment services available in America today. 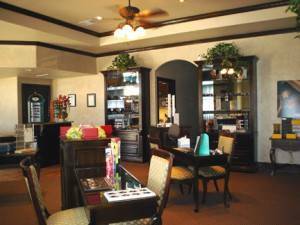 During nearly 24 years of practicing eye care in the Mansfield-Arlington-Desoto area, the Advanced Vision Care team has woven itself deeply into the texture of this community. Led by Dr. J. Kevin Smith, a veteran optometrist with a deep knowledge of the latest treatment methods and state-of-the-art eye care technology the Advanced Vision Care professionals have spent the past decade and a half taking care of kids and parents and grandparents throughout this section of the dynamic and fast-growing Lone Star State. At Advanced Vision Care, we’ve watched the youngsters who came to us 11 or 12 years ago for eye care turn into young parents, themselves. And we’re very proud of the fact that so many are now bringing their own infants and toddlers to us for that all-important annual checkup and other eye care services. Because of this close connection with our neighbors over many years, we’ve come to think of ourselves as family eye care practitioners who specialize in diagnosing and treating every eye condition that can affect infants, children, parents and grandparents alike. At Advanced Vision Care, we know how important it is to continue earning your trust. Whether the issue is new prescription-eyeglasses for your seventh-grader (we understand why she doesn’t want to look geeky in the classroom!) . . . or treating conditions that often affect senior citizens (such as cataracts and glaucoma), we work very hard to maintain our tradition of keeping a sharp, clear focus on each and every patient who walks into one of our three local offices. With more than two decades of combined experience in cutting-edge optometrics, the Advanced Vision Care team is fully prepared to find the ideal, custom-tailored solution for any issue that affects your vision or the vision of someone you love. Rest assured: You won’t find any high-flown rhetoric on these pages about how great we all are at Advanced Vision Care. Nor will you find any advertising gimmicks that promise amazing savings on cut-rate glasses and contacts. What you will find here, however, is a low-key but authoritative description of an optometric practice based on comprehensive knowledge of eye conditions . . . and also on the most up-to-date and state-of-the-art technology. As always, our goal is always to give our patients the very best individualized care available today. And that means being careful not to fall behind the times, as so often happens with eye care practices in the challenging and fast-changing world of eye care technology. At Advanced Vision Care, we understand that staying ahead of the technology curve is the best way to make sure our patients will benefit from new research and procedures, far down into the future!